Approaching an unresponsive iPod has much to do with the particular device you own. In general, there are two types of devices with correspondingly two ways to address lockups. The iPod Touch models use passcodes which, when forgotten, lock out access. Other iPod models can freeze up, but don't truly screen lock in the way the iPod Touch can. Like iPhones and iPads, iPod Touch devices use an iOS operating system and so share many operating features. If you've forgotten your passcode and tried six consecutive times to enter an incorrect code, the iPod Touch will lock as a security measure. The only way to unlock the Touch is to erase it completely. There are two recovery paths, but without a previous backup, songs, photos and other data will be lost. Connect your iPod Touch to the computer with which it was originally synced. Open iTunes and select your iPod Touch from the Device icon. You may be asked for your iPod Touch passcode. 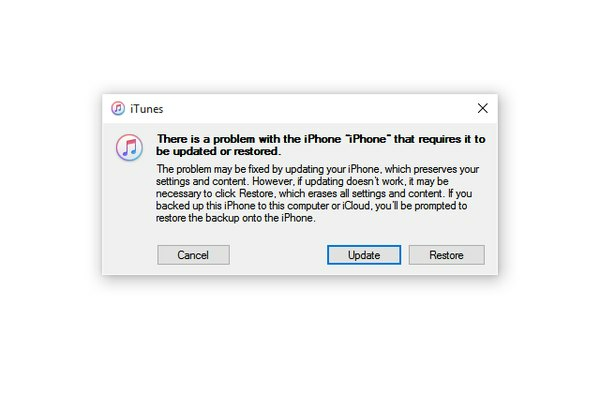 If so, try another computer with which you've synced the device, or proceed to Recovery Mode below. Wait for iTunes to automatically sync and back up your iPod Touch. 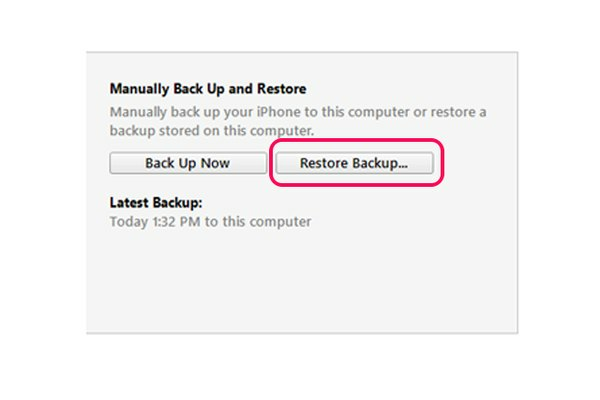 When this process is complete, click Restore Backup and follow the prompts to reload content onto your iPod Touch. Restoring a non-Touch iPod works the same way once you select the device. Though there are a few differences in text, the buttons have the same function. The iTunes app itself is the backup for a non-Touch iPod in most cases. Connect your iPod Touch to a computer and open iTunes. Perform a forced restart by pressing and holding the Sleep/Wake and Home buttons simultaneously. Continue to hold the buttons when the Apple logo appears, until the recovery mode message above appears in iTunes. Click Restore and your iPod Touch will be returned to its factory state, erasing your previous passcode. When you know your passcode, but your iPod Touch becomes unresponsive, a soft reset may be the answer. Simply press and hold both the Sleep/Wake button and the Home button for about 10 seconds until the Apple logo appears, then release the buttons. This technique forces a restart of the iOS operating system and has no effect on data or settings on your device. While some iPod models other than the iPod Touch have a passcode feature called Screen Lock that could lead to a forgotten password situation, this feature is easily bypassed when you connect to iTunes for syncing. Since the only route for music and data is through iTunes for non-Touch models, iTunes is the backup for your device. You can restore an iPod using the same Restore using iTunes method shown above for the iPod Touch. When these iPods are unresponsive, use one of several model-specific reset methods. These procedures reboot the operating system on the device, leaving data and settings intact. No connection to a computer or iTunes is required. Press and hold the Sleep/Wake and Home buttons simultaneously for about six seconds, until the screen goes dark. The Apple logo will appear momentarily and the device will reboot. Press and hold the Sleep/Wake and Volume Down buttons simultaneously for about six seconds, until the Apple logo appears momentarily and the device reboots. Move the Hold switch to the locked position and back. Press and hold the Menu button, then press and hold the center button until the Apple logo appears. Release the buttons and the iPod will reset. Slide the switch to the Off position, wait 10 seconds and slide it to either the play in order or shuffle play position. The iPod will reset.